Still operating as a start-up company at the time, LinkedIn was looking to expand beyond their Mountain View headquarters. The company leased five floors of office space in Sunnyvale, a far south suburb, as part of their new campus plan. 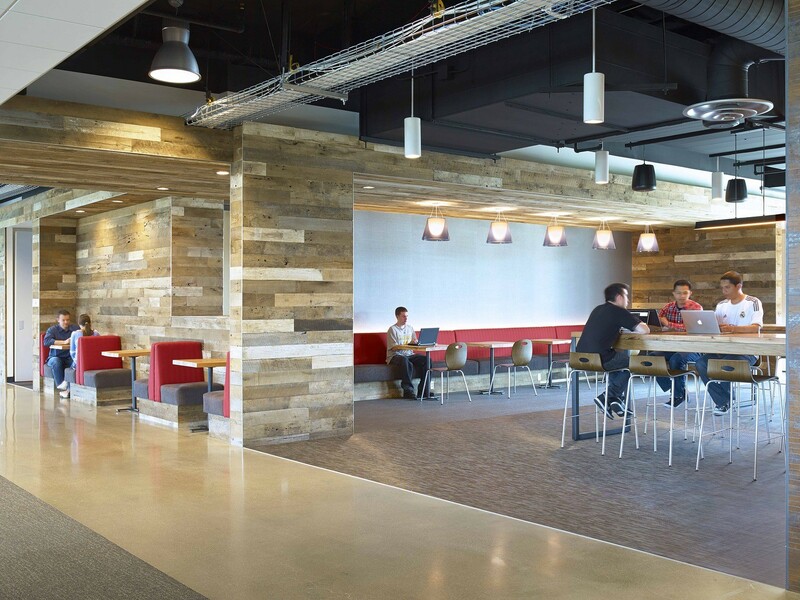 To keep costs low, LinkedIn simply asked that we make the 125,000-SF space functional with very little flourishes and complete the project within a five-month, fast-track schedule. At the project’s outset, we carefully developed several different floor plans for LinkedIn to choose from, with the intent of repeating their preferred layout on each of the five floors. 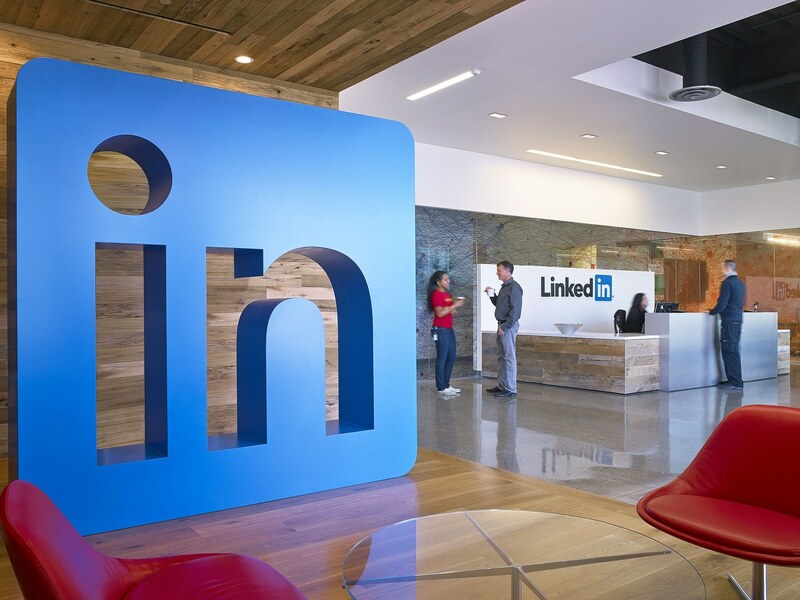 However, with an unexpected change in management and great enthusiasm for each of our design schemes, LinkedIn radically reimagined the project’s intent. Our goal became to create an attractive, collaborative, and thoughtfully branded space that would attract talent from Mountain View and ignite inspiration and excitement for the Sunnyvale office. The most significant challenge for our team was that the original time frame for completion remained the same. 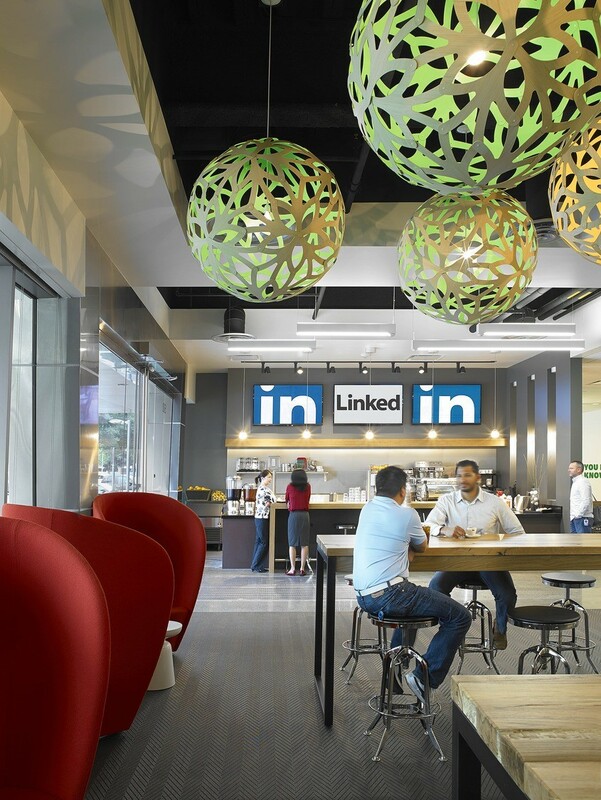 A key goal was to entice workers to leave their individual spaces and find places conducive to collaborate and connect—a core LinkedIn value. 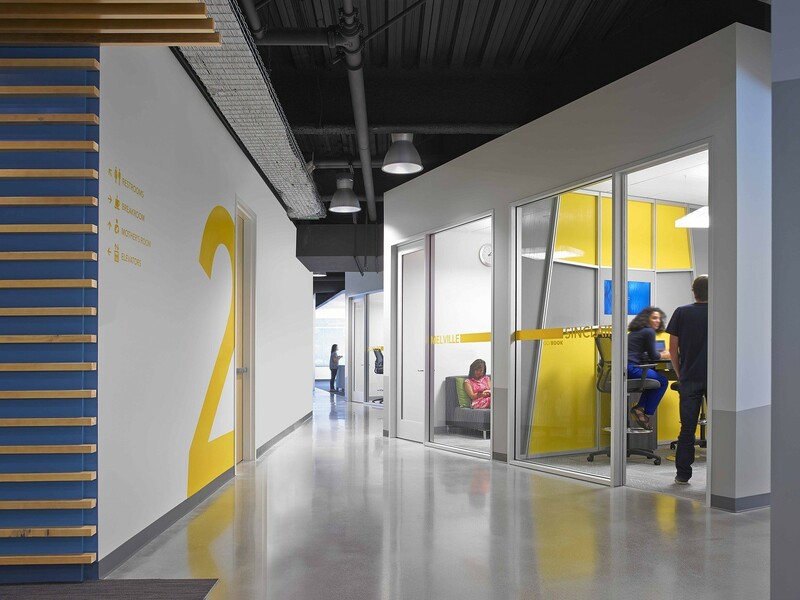 Each floor’s design and feel is introduced in an expansive open space called the “crossover” area and extends throughout the area with plenty of options for quiet spaces and collaborative zones. To create a relaxed “South of Market” look, concrete was used in all the main walkways and warm, reclaimed wood was used extensively on the fifth floor where the café and library spaces are located. We also placed workstations on the window perimeters of the building so that employees can enjoy the natural daylight and beautiful views. Additionally, low or no VOC paint was used throughout the project. Our team completed the LEED Gold-certified project on time and within budget, designing a sophisticated and timeless space where each floor has its own individual character, yet relate to each other to create a cohesive office environment.